It's probably un-Canadian to say that I'm not familiar with Stuart McLean, but that's the category I fall into. A friend dropped off his CD, Stuart McLean at the Vinyl Cafe (The Christmas Concert) so I could take a listen. He thought I'd like him. Well, it's not really my cup of tea, but then I'm not a big fan of Garrison Keillor and Prairie Home Companion, either. If you've never heard of Stuart McLean, he's a journalist, humorist, best-selling author and host of the CBC Radio program The Vinyl Cafe. The show has a million+ followers, so he's definitely got his fans. 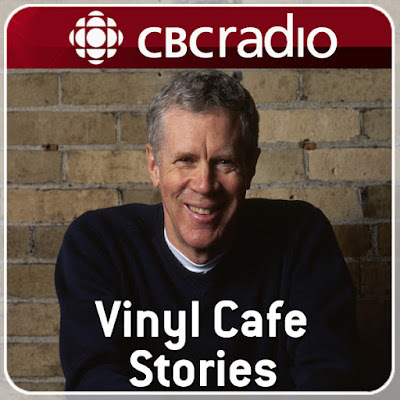 Read his complete bio on CBC's Vinyl Cafe website. And during the holidays, he's touring with the Christmas Concert Tour 2011 across Canada (plus Seattle), starting out in Victoria, BC. Appearing with him is special musical guest Hawksley Workman.